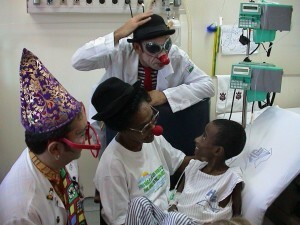 Documentary film about the consacrated work of a group of clowns that acts at several hospitals in Brazil. The spirit of the Court Jester makes a come back in a movie about the revealing and unexpected way clowns look at the world. 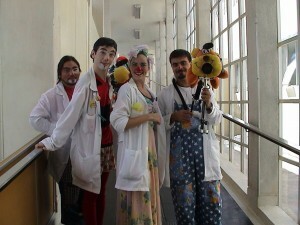 The movie portrays the award-winning group Doctors of Joy interacting with hospitalized children, and through their work the film invites us to think about the role of Art in our lives. 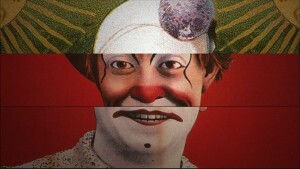 What is the role of the clown in modern day society? From hospitals to corporations, factories and even the stock market, wherever he goes, he invites us to look at life from different standpoints and see what that does to our perception. 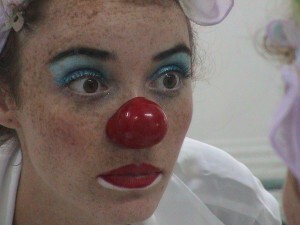 The film “Doctors of Joy” (Doutores da Alegria) rescues the importance of powerful ancient archetype that has permeated human history from its first organizations as a society, personified in the shaman figures, Jester (able to tell the hardest truths to the king without be beheaded) and clown himself. Subversive, these artists change the default ordering of social relationships, making them laugh and think. Promoting a provocation, Wellington Nogueira, founder of the organization, questions the role of this archetype in modern society, showing that your stage is not restricted to the circus and is increasingly necessary everywhere. 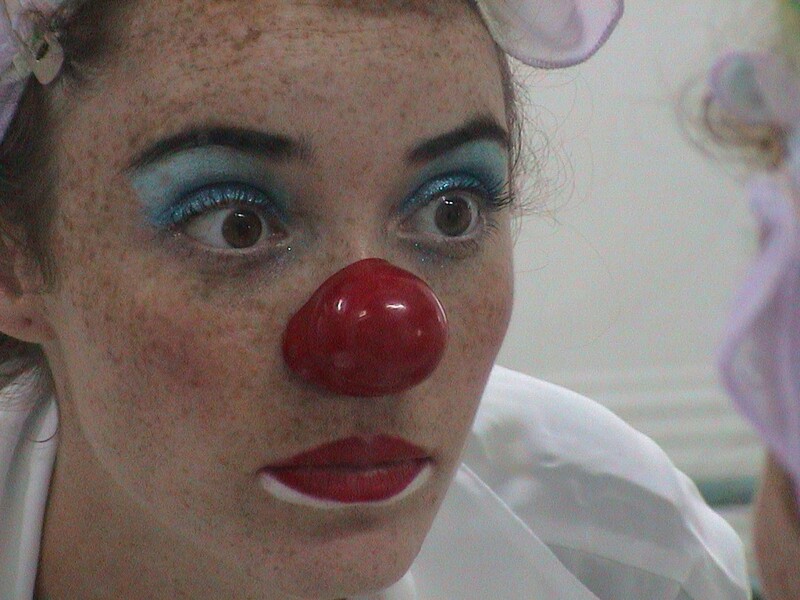 With sensitivity and humor, the film transports the audience to the day to day hospitals and captures the transformation that environment caused from the clown encounter with the child. Monitors also raids this character in such disparate locations as stock exchanges, the Municipal Market and factories. Highlighting the social function of art, rescues the importance of smaller mask in the world (the red nose); and presents the unusual reasoning of these artists, able to reveal new aspects of reality with courage and irreverence. Thanks to this ability to look at situations from another perspective, gives new dimension to those relating to life. The film tells how this new “branch of medicine”, called by the Doctors of Joy as “Besteirologia”. Brings funny scenes, constructed from the meetings; and touching testimonials of moments spent alongside the young patients, their parents and doctors. Unveils how the clowns look the other and understand the pain and loss; how let the child lead the story (improvising incessantly with grace, respect and softness); the way they handle their own ridicule and destroy pre-established hierarchies. 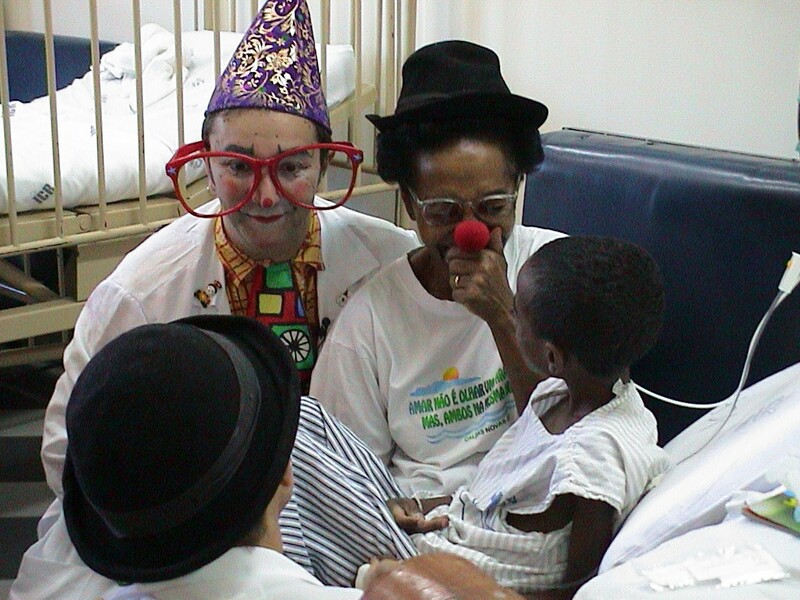 The film Doctors of Joy received the UNESCO Seal for promoting a Culture of Peace – (United Nations organization for Education, Science and Culture). HOURS CONCOURS Exhibition at Rio International Film Festival 2005. HOURS CONCOURS Exhibition at Festival “It’s all true” – 2005. Elected by UOL website, the best documentary in 2005 according to the website users. AFO (Academia Film Olomouc) 2004 International Competition – Czech Republic. 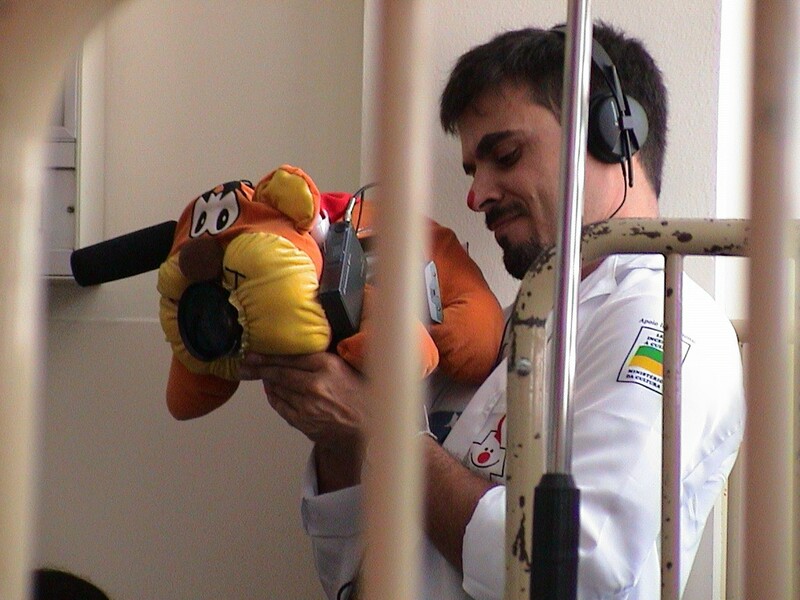 “Doctors of Joy”, the film has original soundtrack, signed by the composer Arrigo Barnabé. During follow-up artists, they were captured images in the Children’s Institute of the Hospital das Clinicas, Faculty of Medicine, USP, Children’s Hospital, Mandaqui Hospital, Hospital Cândido Fontoura and Albert Einstein Hospital in Sao Paulo. Already in Rio de Janeiro, the team followed the routine of artists in IPPMG (Hospital do Fundão). To perform the recordings, the cameras were covered with stuffed animals and operators dressed as clowns. So the filming was done almost invisibly: the children saw the camera crew as part of the group of artists. The film was shot on Super 16mm in interviews and DV Cam in hospitals and is 96 minutes long. There were seven weeks of filming, 33 days in hospital and 16 days with interviews, accounting for more than 130 hours of filmed material. Founded by actor Wellington Nogueira, Joy Doctors of the organization operates in ten hospitals, five in São Paulo, two in Rio de Janeiro and three in Recife, and has visited about 350,000 hospitalized children and adolescents since 1991. Account today 35 professional actors, who receive specific training to perform with the utmost care and efficiency, their work with young patients. Innovative, is still the only organization of its kind in the world to feature a Study Center itself, responsible for researching and disseminating the acquired knowledge. Among its actions, include the production of scientific research, theses, book publishing and the partnership since 2002 with the Ministry of Health, vocational training area. All this work has been recognized by several national and international awards: in 1998 and 2000, was elected as one of 40 Best Global Practices by an international jury of the UN Habitat Division. In 2002, they were considered one of the 50 ambassadors of the Stockholm Partnership Award (Stockholm Partnerships for Sustainable Cities), Sweden. Sponsored by ………………………………….CSN, Diners Club International, Iharabras, BNDES, Cabot Brasil, Petroquímica União, TYLENOL, TRW Automotive, MWM, Alba Adesivos, Equifax , Unilever, Construbase, Atlas Transportes e Avery Dennison.